It’s that time of year again where everyone gets together with long lost family members and eats too much turkey. No, not Christmas, the other one. That’s right folks, we’re well and truly in the midst of Thanksgiving, and that can only mean one thing – Black Friday is upon us! Those not familiar with Black Friday must have been living in the same bunker <insert tyrant’s name here> for the last few years, because Black Friday has become a big, big thing in the United States. The day after Thanks Giving, Black Friday is the day when retailers across the U.S. open super early and sell thing super cheap. 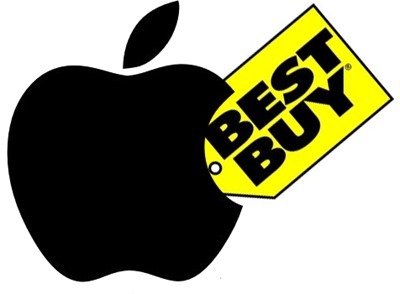 That’s about the long and short of it, but what really matters is the deals, and Best Buy has Apple lovers covered this year with sales on iPads, iPod touches and all kinds of lovely Apple-branded products. Looking to pick up a shiny iPad 2? 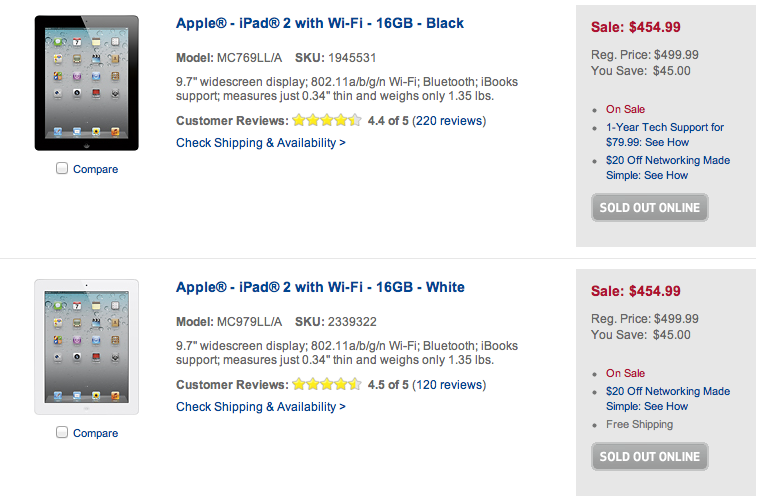 Best Buy is running a $45 off sale, meaning every iPad has had its price reduced by $45. That’s nearly 10% for those looking to pick up a 16GB WiFi model. Not a bad little discount, though Apple’s online store may offer something similar, if not better by tomorrow. Those looking for their iDevices to be a little more pocketable can pick up an iPod touch this Black Friday. Best Buy are offering the 8GB model for $195 with the offer being that Best Buy will then mail you a $50 coupon to spend in-store. Best Buy’s website says the coupon will be shipped separately, and there is no mention about how long it will take to arrive. If you’re going to take a punt on this, make sure you keep an eye out for the postman and chase it up if you do not receive it! If you’re going to pick up a new iPad or iPod touch, then you’ll also want to buy yourself some apps or music, and Best Buy has you covered. All $50 and $100 iTunes gift cards are now running at 20% off, assuming you buy $100-worth. If you buy a $100 card, it will, obviously enough, cost just $80. That’s a couple of albums free, or a few very good apps. Bargain! If you see something we should know about, let us know on Facebook, Twitter or Google Plus!